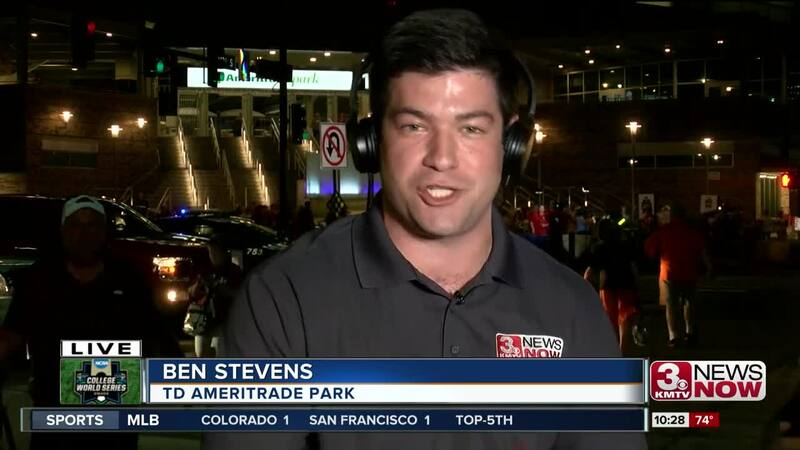 After a rainy Monday afternoon that forced the NCAA to postpone Game 1 of the College World Series finals, baseball fans returned to TD Ameritrade Park Tuesday evening. Arkansas took on Oregon State at 6 p.m.
Tens of thousands of fans packed into the park eager to get to their seats. Many weren't so lucky to get in however. 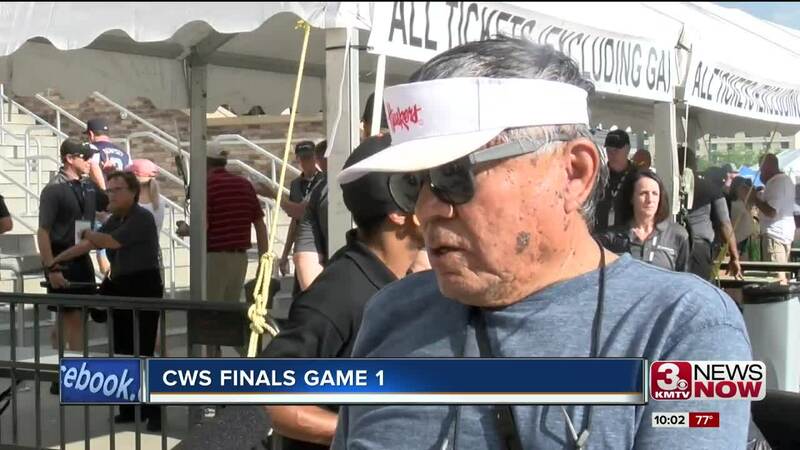 Many fans were spotted outside the park searching for tickets. Some even waited a couple of innings into the game hoping to catch someone with extra. Cody Carlson and CJ Carani from Chicago, IL didn't get in - the game's general admission sold out. "We'll try again tomorrow. Show up early for sure though," said Carlson. Arkansas won the first game 4-1 and left the ball park needing one more win to win the series. Game 2 of the series continues on Wednesday at 6 p.m. Doors open at 4 p.m.